Rosicrucians. Not rose crux, rose cross, but ros crux, dew cross. Dew was considered by the ancient chemists as the most powerful solvent of gold ; and cross in alchemy is the synonym of light, because any figure of a cross contains the three letters L V X (light). "Lux" is the menstruum of the red dragon (i.e. corporeal light), and this gross light properly digested produces gold, and dew is the digester. Hence the Rosicrucians are those who used dew for digesting lux or light, with the object of finding the philosophers stone. "As for the Rosycross philosophers. Butler : Hudibras, pt. ii. 3. E. Cobham Brewer, The Dictionary of Phrase & Fable. Hertfordshire : Wordsworth Editions Ltd, 1993. pb. p.1076. Many people have sought a connection between Freemasonry and Rosicrucianism. Some claim  incorrectly  that Freemasonry came from Rosicrucianism. There are enough similarities between them to make the history of Rosicrucianism of interest to freemasons. 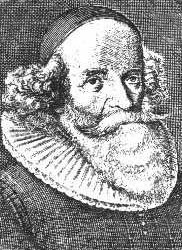 The birth of Rosicrucianism is almost universally attributed to Johann Valentin Andreä, a German monk. He was known for his charity and his attempts to promote the betterment of mankind through study and learning. In this book, Christian Rosenkreuz is born to a poor but good family. At a young age he joined a monastery, and at some stage he is allowed to accompany an old monk on a pilgrimage to the Holy Sepulchre. The monk dies in Cyprus and Christian goes on alone. In Damascus, he is amazed by the wonders of the city sages and he places himself under their direction. After three years of studying their hidden mysteries, he goes to Egypt for further study. Then at the direction of his Arabian masters, he travels to Fez, where there is an annual meeting of the African and Arabian philosophers, to compare notes on their studies and travels. After several more years, he goes to Spain but getting a poor reception, he returns to his native Germany. There, Rosenkreuz advocated a reformation in morals and science But met with little sympathy. So he decided to start his own society. He gathered three companions from his old monastery, swore them to secrecy, passed all his knowledge on to them and, it is transcribed, they built a temple, called "the Temple of the Holy Ghost." They then increased their number to eight, and after all were fully instructed into the mysteries of science and nature, they agreed to separate. Two would stay with Father Rosencruetz, the others would travel to pursue learning, but would return every year to communicate the results of their study. Then they would depart again, this time with two different members of the order staying behind. 1) that they would devote themselves to nothing else than the free practice of Physic. 2) that they were to wear no special clothing, but rather to adopt the customs of the land they were in. 3) that each one was to present himself at the Temple Of the Holy Ghost on a particular day of the year, or send an excuse forhis absence. 4) that each was to look for a brother to succeed him on his death. 5) that the letters RC were to be their seal, watchword and title. 6) that the brotherhood was to be kept a secret for 100 years. When 100 years old, Christian Rosencruetz died. His burial place was known only to the two brothers who were with him at the time and they took that secret with them to the grave. The society continued, always 8 in number, for a further 120 years. There was tradition in the brotherhood, that after 120 years, Father Rosencruetz' grave was to be discovered, and the brotherhood no longer a secret. The Temple of the Holy Ghost was being altered, and when a brass plate was removed from the wall, a door was revealed bearing this inscription "after 120 years I will be opened"
Inside was a vault of 7 sides, each 5 feet long and 8 feet high. The ceiling was arched and the room lit by an artificial sun at its centre while in the middle of the floor was an altar bearing the inscription "while living I made this compact copy of the universe my grave". The 7 walls were each divided into 10 squares, with figures and sentences to be explained to the initiates. They also each contained a door, leading to closets, which contained all manner of wonders, from the history of the brotherhood to encyclopaedia, from the life of the founder to curious mirrors and burninglamps, of instructions on how to build up the order, and how it would eventually fall into decay. Pushing aside the altar, they found the body of Rosencruetz, freshly preserved, with a volume under his arm. This then was the story attributed to Andrea. It was intended to be a suggestion to the learned, to promote philanthropy, to better mankind through answering the questions posed. It was misunderstood then, as it has been since. Everywhere his fable was accepted as fact. People searched for the Temple of the Holy Ghost. Letters appeared continuously, addressed to the order, seeking admission. None were answered. The brotherhood was earnestly attacked and vigorously defended in books and pamphlets. But no one ever heard from the order itself. Eventually some, having sought vainly for the invisible society, resolved to form their own, and hence there appeared by 1622 an alchemists group in The Hague, calling themselves Rosicrucians. The doctrine soon found its way to Britain, around 1625, and publications began to appear. Common symbols resulted in scholars then and since trying to find a common origin between Rosicrucian and Freemasonry. But this is not so. The Rosicrucians were Theosophists, religious men whose doctrines were of spirits, of the elements, of numbers and heavenly bodies and their influence on men. The Freemasons were founded by builders, whose symbols applied in architecture and were of a Christian character. There is however, some Rosicrucian influence in the higher degrees of Freemasonry. Chevalier Michael Ramsey, (1668-1743) is credited with starting the higher degrees. His were designed to support a connection to the crusades and the Templars. But Rosicrucian or Hermetic philosophy crept in. By 1758 there were over 50 degrees, with titles like "Hermetic Knight, Hermetic Rite, Philosophic Cabalist, Rite of Philalethes". Most of these are now laid aside, but the modern 28th degree in the Scottish Rite, that of Knight of the Sun, is a condensation of the Rosicrucian doctrines. The modern 18th degree of the Scottish Rite, that of the Rose Croix is not Hermetic. it stems from Christian doctrine alluding to the blood of Christ being shed on the cross. That leaves the origin of the word Rosicrucian, and the beliefs of the order, and that is convoluted enough to be left for another day. 1. Fama fraternitatis Roseae Crucis oder Die Bruderschaft des Ordens der Rosenkreuzer, (The Fama), 1614, Kassel and Confessio oder Bekenntnis der Societät und Bruderschaft Rosenkreuz (The Confessio), 1615, Kassel, were published anonymously. Johann Valentin Andreä only claimed, in his autobiography, to have written Chymische Hochzeit Christiani Rosencreutz anno 1459 (The Chemical Wedding),1616, Strasbourg. Ref: History Of Freemasonry by Albert Mackey.